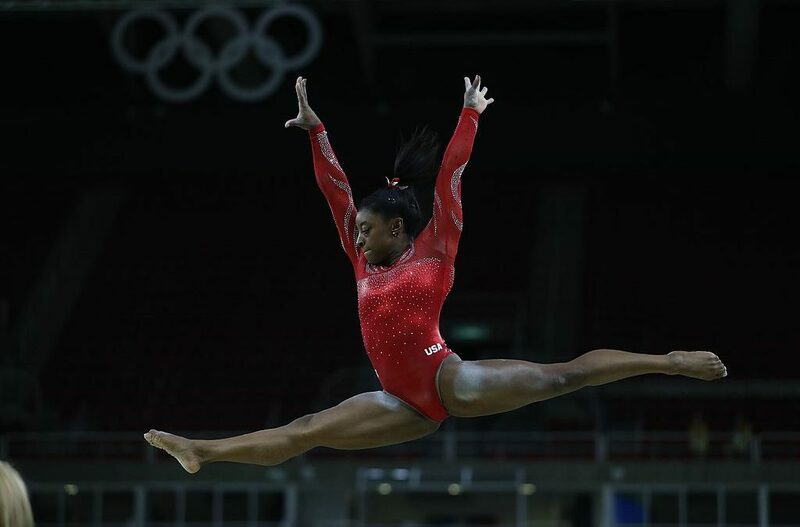 U.S. Olympic gymnast Simone Biles is stunning the world with the complexity of her routines and her signature sky-high moves. Some experts predict that the young Texas athlete could bring home as many as five gold medals from the Olympic games in Rio, Brazil. But just as inspiring as her hard work and amazing talent is her life story. The Independent Journal reports Biles was born in Ohio to drug-addicted parents, and her father quickly abandoned the family. The first few years of her life were a yo-yo between her mother’s house and foster homes, according to Texas Monthly. When Biles was six, her grandparents adopted her and her younger sister, and they moved to Texas, the report states. Now, the 19-year-old gymnast calls her grandparents, Ron and Nellie, mom and dad. A perfectionist, Biles trains continuously and often is hard on herself when she makes a mistake, according to the report. On Sunday, the only day she doesn’t practice, she goes to church with her family, according to the report.